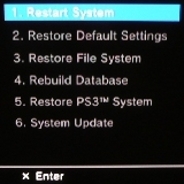 The PS3 Spec Sheet covers most major features and specifications that are found on all models of PS3's. 10Base-T, 100Base-TX, 1000Base T. All support half and full duplex. SixAxis or Dualshock 3 wireless bluetooth controller, depending on Model of PS3.